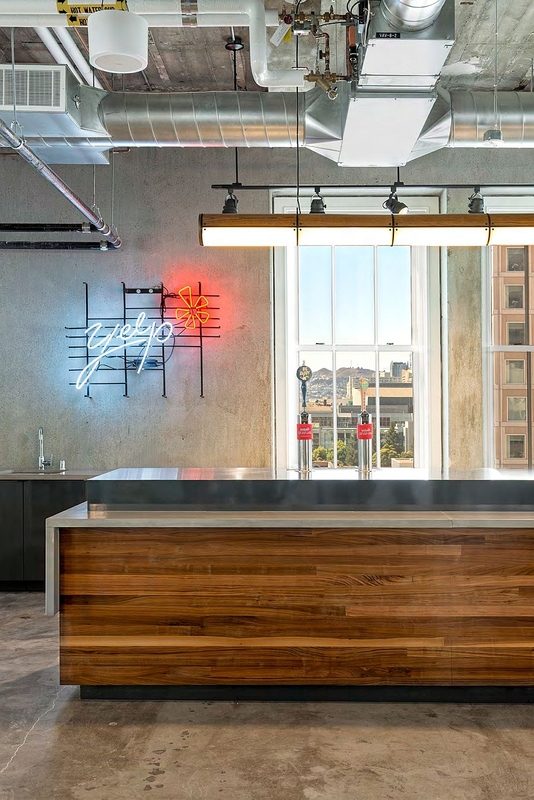 When it comes to restaurant and business reviews, the name Yelp instantly comes to mind, and much like the tech giants Google, Yahoo or Facebook, Yelp has decided to give its employees in San Francisco a headquarters to brag about. 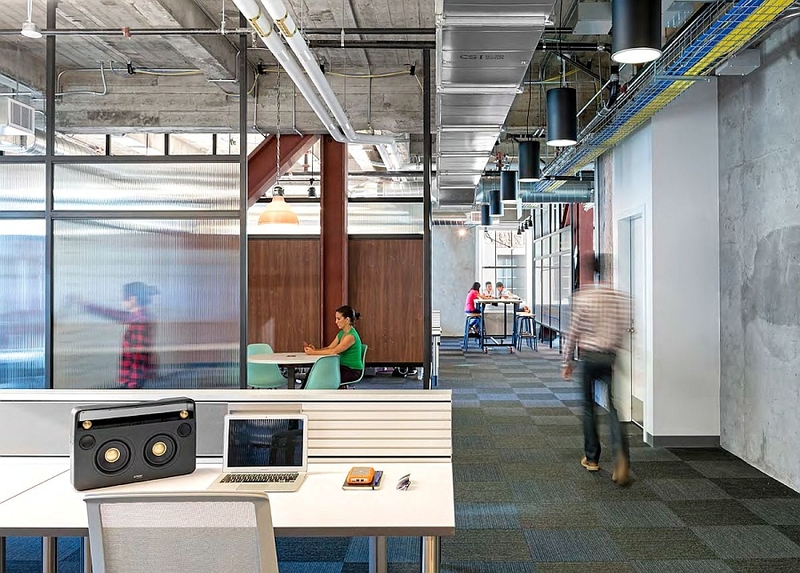 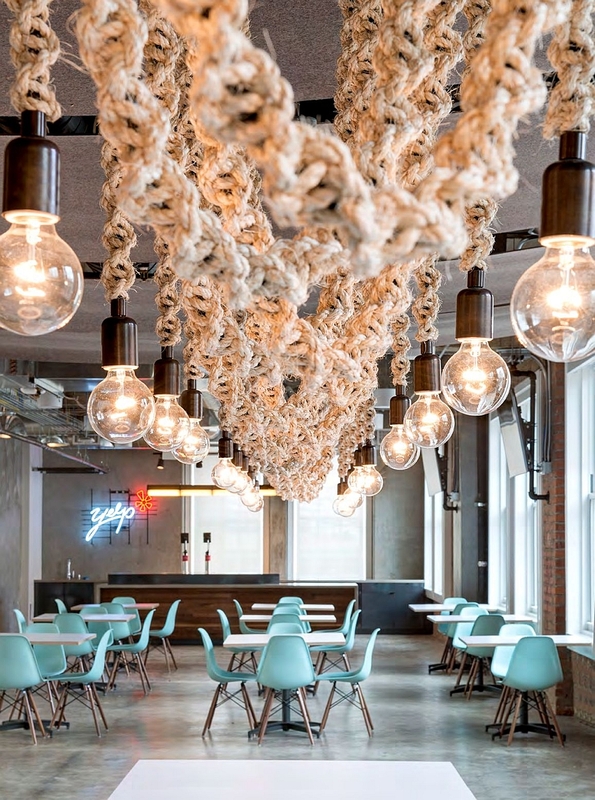 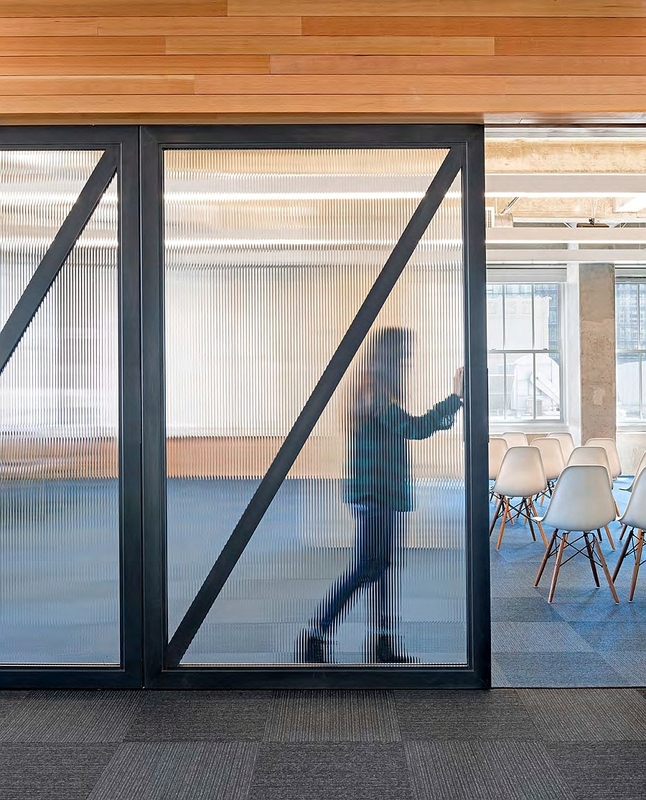 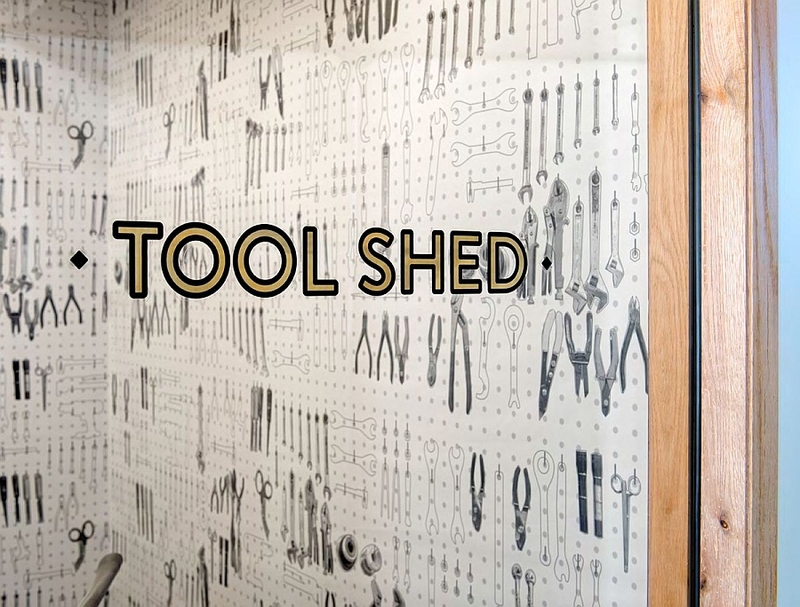 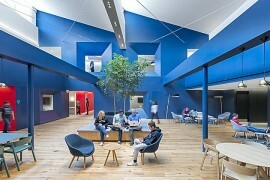 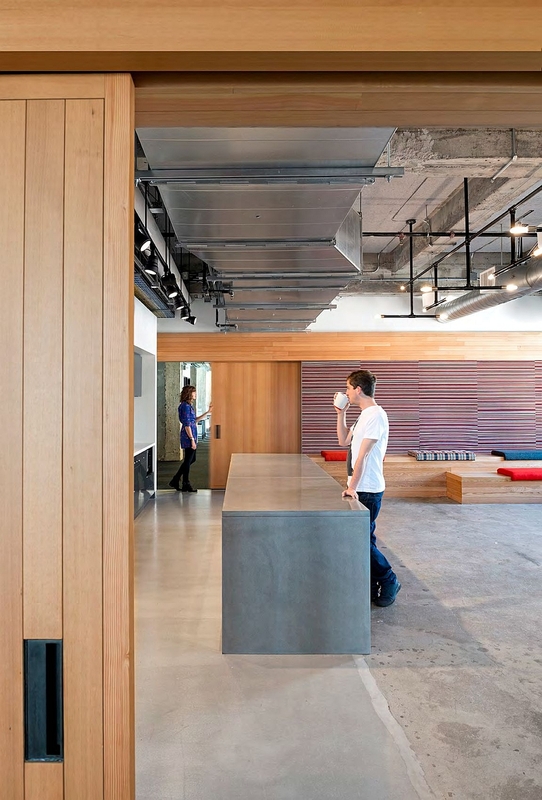 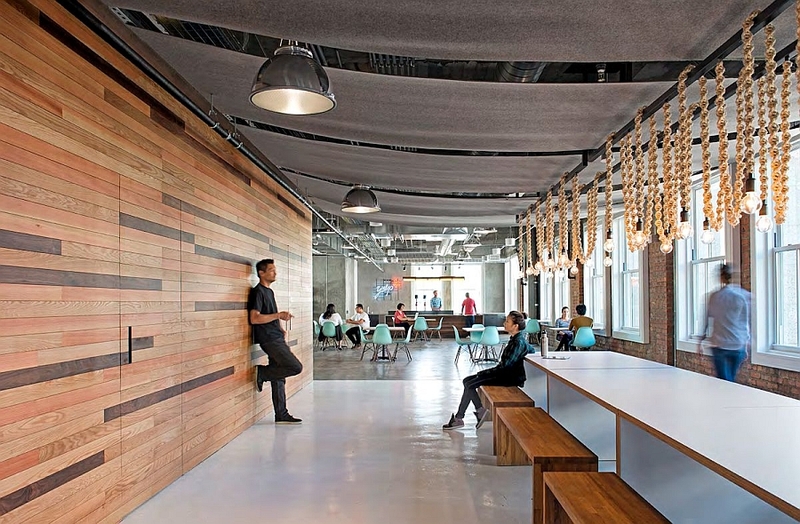 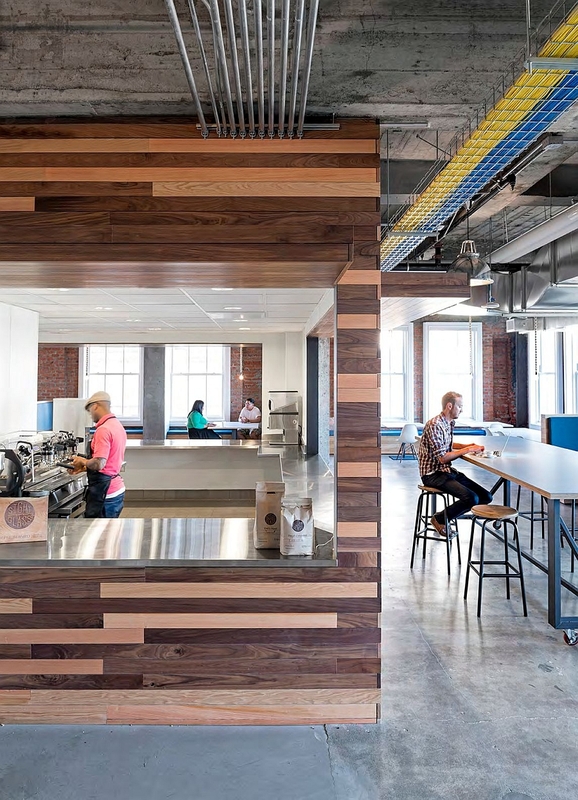 Taking inspiration from what they like to dub the “collegial spirit of Silicon Valley”, Studio O+A has come up with a sparkling new vertical campus for Yelp that blends the old, the new and the eclectic! 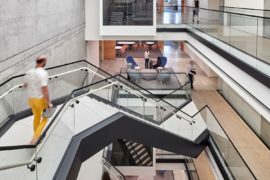 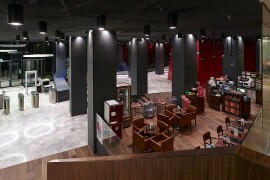 Turning an urban high-rise into a campus-style space obviously presents a unique set of problems, and the architects overcame them by spreading out the social areas and giving each floor of the building an air of exceptionality. 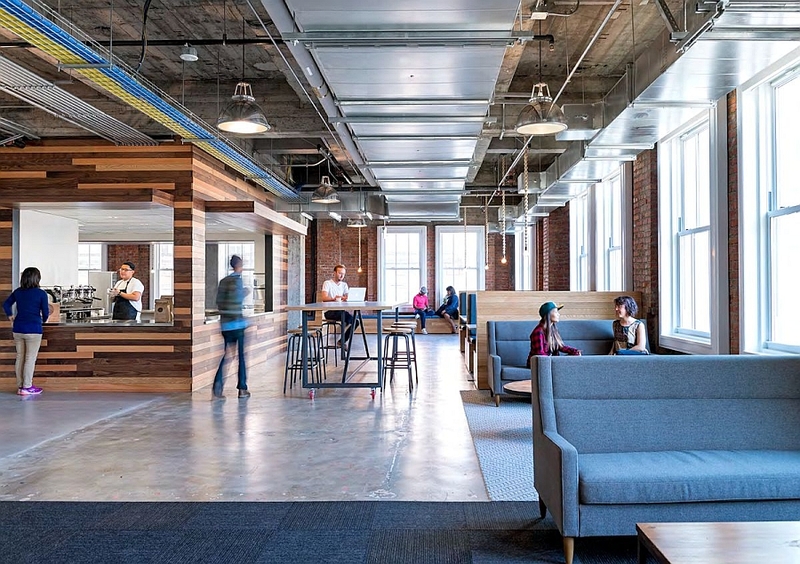 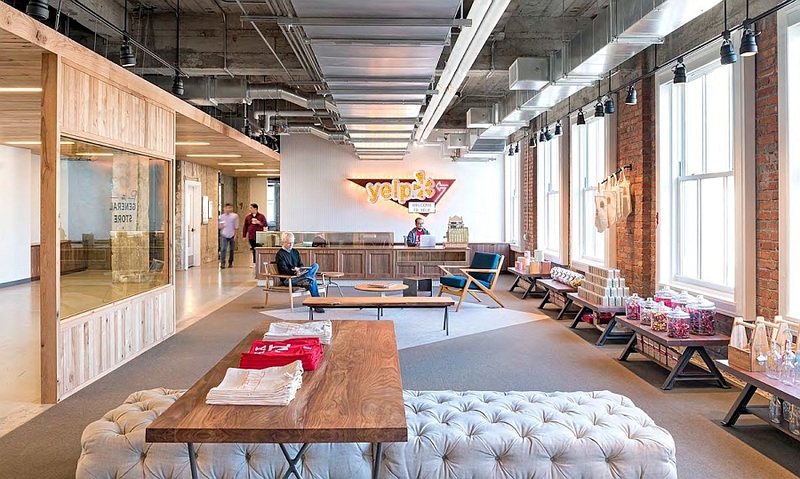 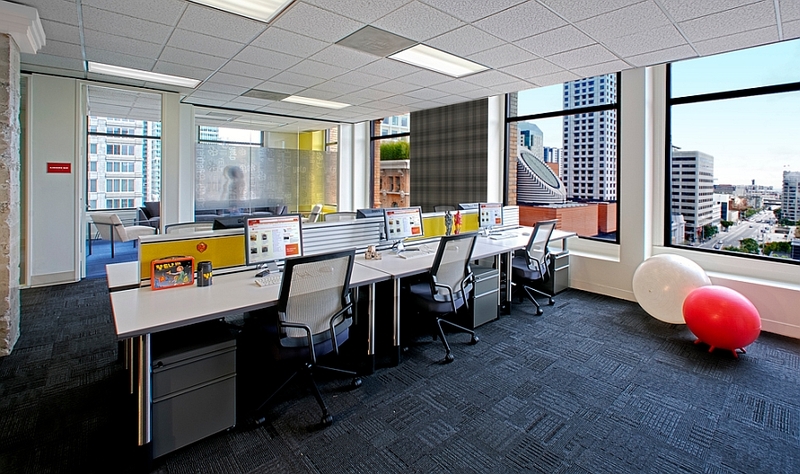 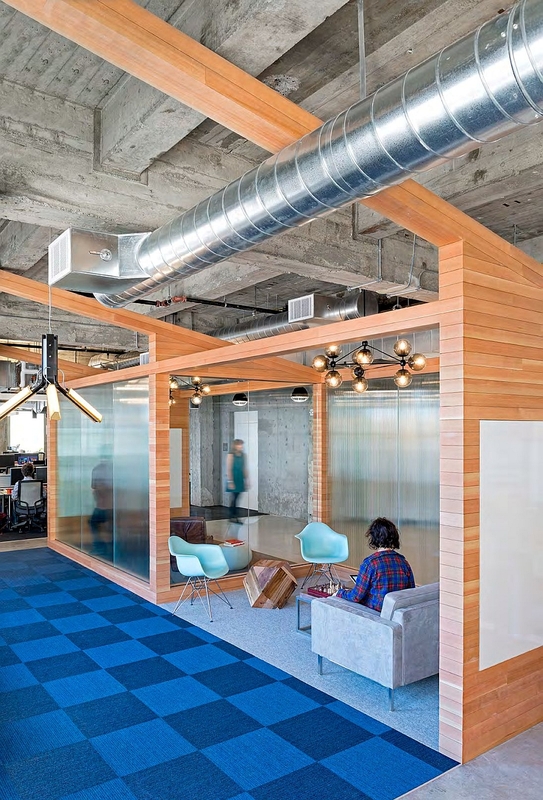 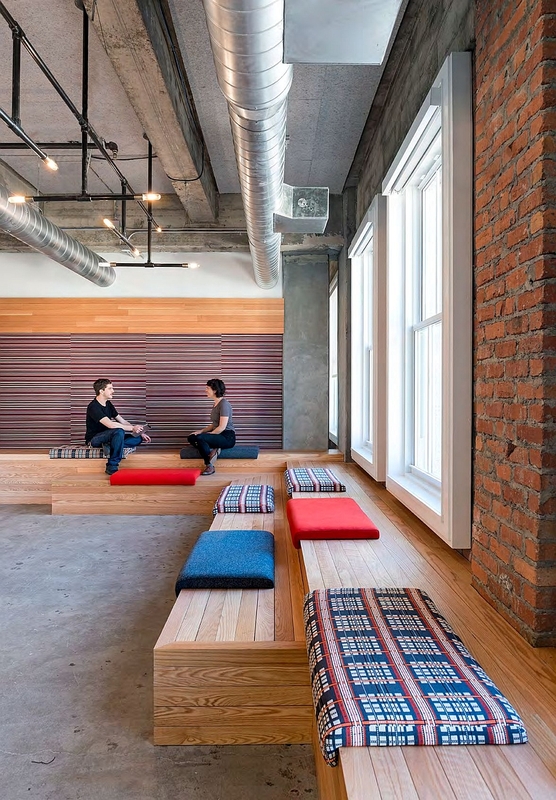 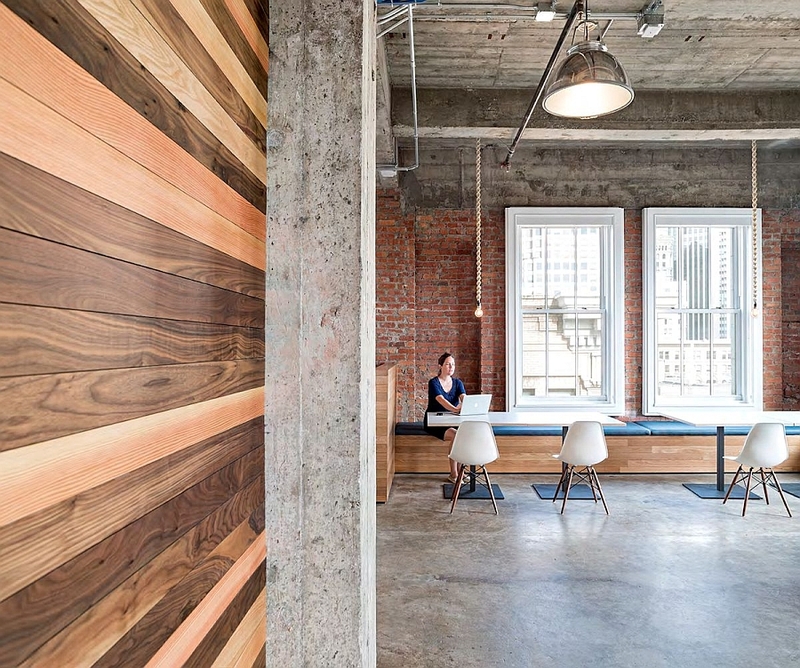 The reception area of this new Yelp headquarters is located on the 9th floor, and a trip up here is well worth the effort, as the space charms you with a classic and timeless look. 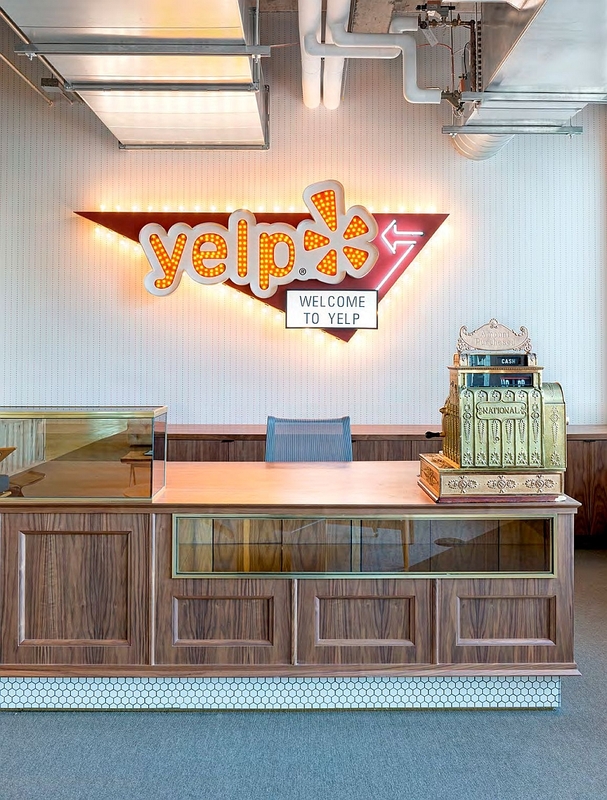 A vintage cash register at the reception desk instantly draws your attention, as the retro appeal of the reception borrows from the ‘general store’ of an era gone by. 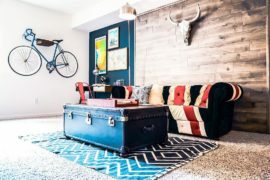 While the beautiful collectibles and vintage merchandise do grab your attention, smart pops of color, walls with playful patterns and lovely collages hold their own as well. 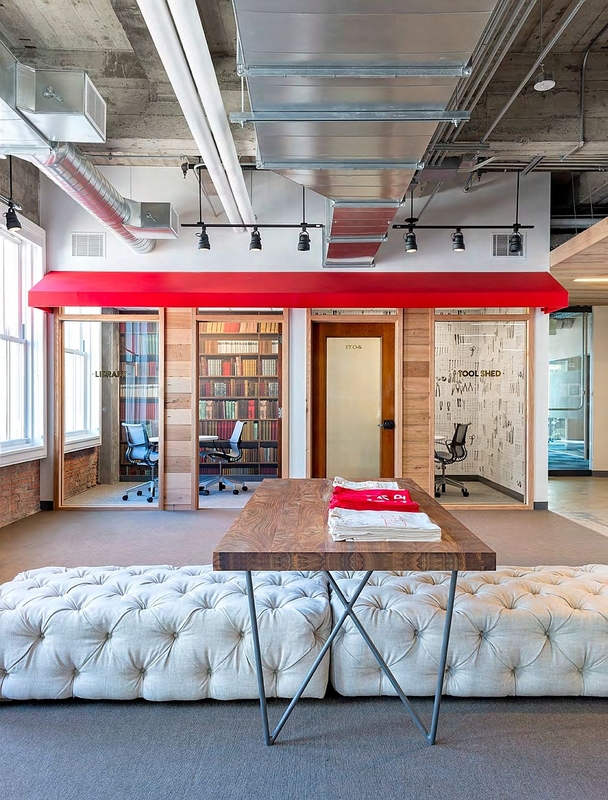 The other levels of the workspace also have this whimsical and casual look while placing functionality front and center. 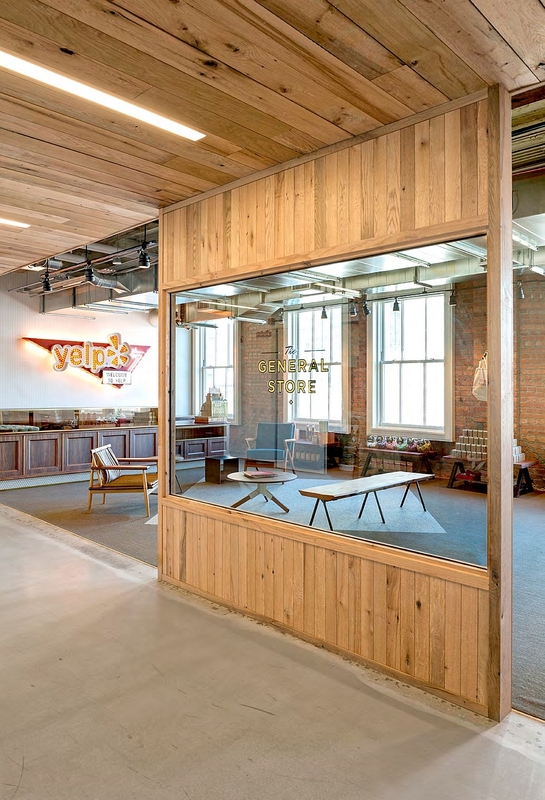 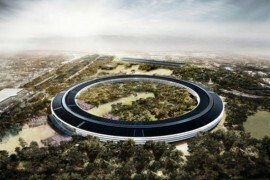 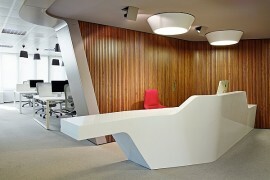 Studio O+A decided to draw their inspiration for the design of the headquarters from the brand image of Yelp itself. 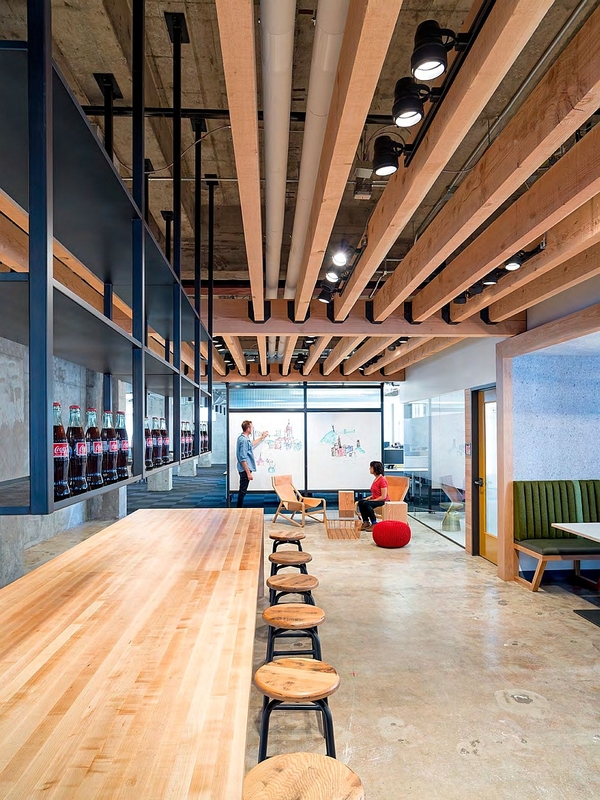 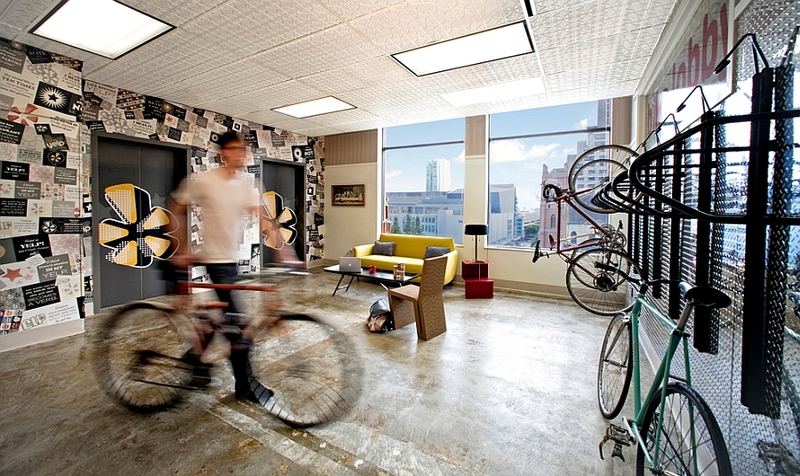 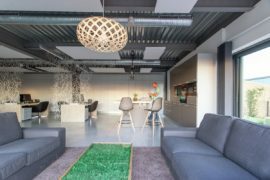 Wall murals and graphics inspired by handbills posted in an urban alleyway, exposed steel pipes, brick walls and minimalist decor that also has a Midcentury modern flavor are combined carefully to create a truly exceptional interior. 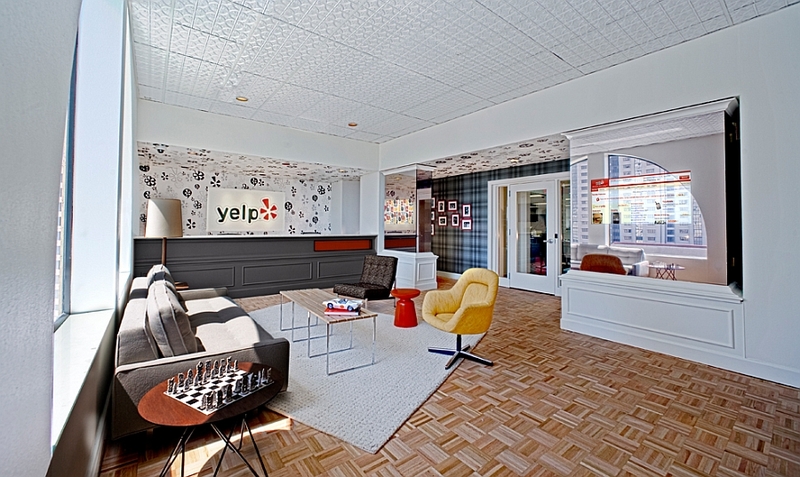 The idea behind this eclectic mix is to reflect the wide combination of viewpoints that Yelp users and their services offer. 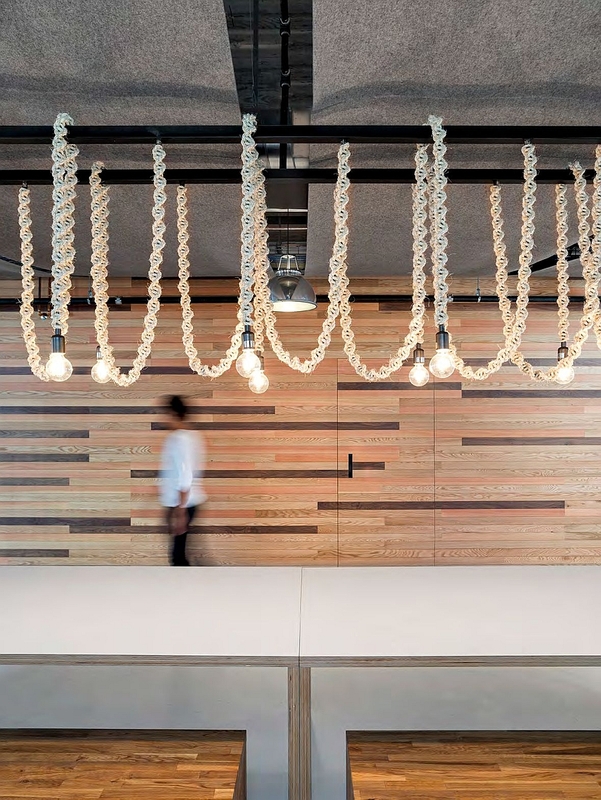 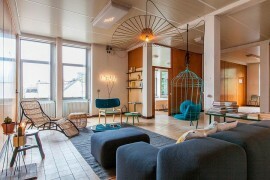 This fabulous mix of styles ranging from the vintage to the contemporary and from the industrial to the minimal epitomizes the dynamics of the company itself! 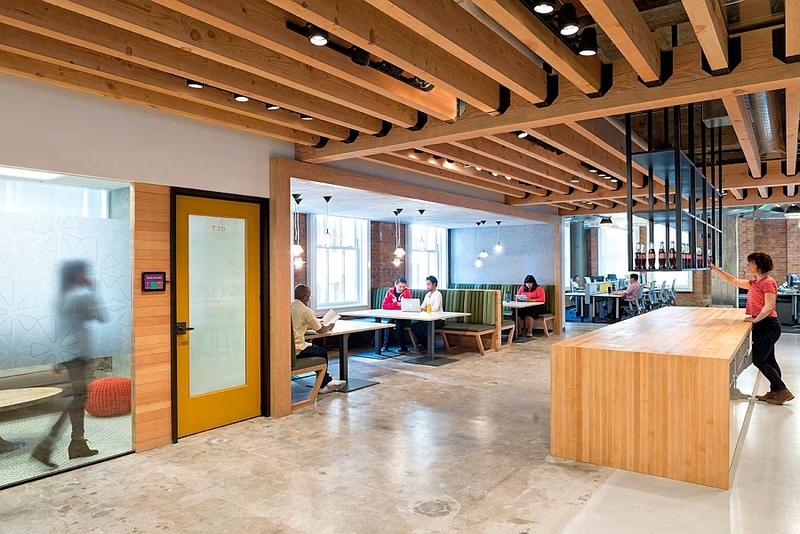 A cool coffee shop on the 8th floor, a trendy hangout and break room on the 5th and a stylish chatting space that offers a chance to refine your chess skills on the 11th floor–this is one workspace that we would not mind taking a trip to every morning. 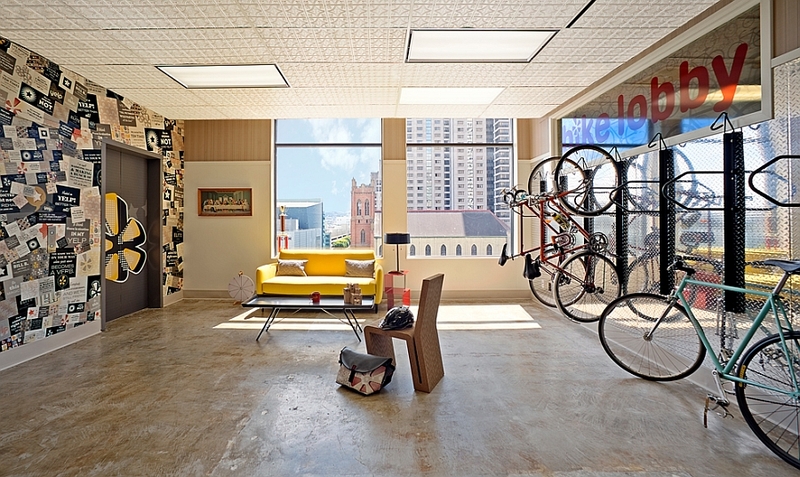 And speaking of the commute, every level also features a smart bike rack for the eco-friendly Californian who loves to pedal his way to work!